Accounting has always been about measuring value. The “shoebox full of receipts” era is over. 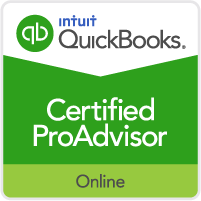 Ops Accounting provides qualified and professional small business accounting, QuickBooks bookkeeping, payroll processing and tax preparation in Chicago and the surrounding areas. We are a one-stop-shop. All four services that take so much of your time including small business accounting, QuickBooks bookkeeping, payroll processing and tax preparation bundled in one affordable price. Send us a request for a more detailed quote and speak to an Ops consultant, providing the best small business accounting, QuickBooks bookkeeping, payroll processing & tax preparation in Chicago. I've been using Ted for years and he's great. 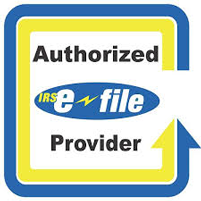 Very responsive, helps simplify complicated issues, and always gets our taxes done on time. My wife has a condo in another state from before when we were married so the taxes get a bit confusing, and Ted is well worth the avoiding the mental stress. I have recommended him to friends in the past and happy to do so to anyone else. Ted is awesome. Any questions we had, and we had many, he would answer super fast. He checks in on us throughout the year to make sure all is okay. He has offered great advice for all sorts of questions. I have recommended him to friends! I would definitely use Ted to do your taxes. Very reasonable as well. This was my first year working with Ted - so glad my co-worker suggested him to me! I had a few tax-related questions that Google couldn't answer; Ted was happy to provide guidance about my options, potential outcomes, and easy-to-understand next steps. I'm juggling a full-time job and part-time school, so I appreciated that he and I had all of our correspondence via email. He provided timely and robust answers to all of my questions, and I have full faith that he has his clients' best interest in mind. Ted is the best! He's fast, thorough and just a nice guy to deal with. He is savvy with the latest technology so document handling is seamless. He sends me email reminders and tips about the latest tax news. I don't know what I'd do without him.